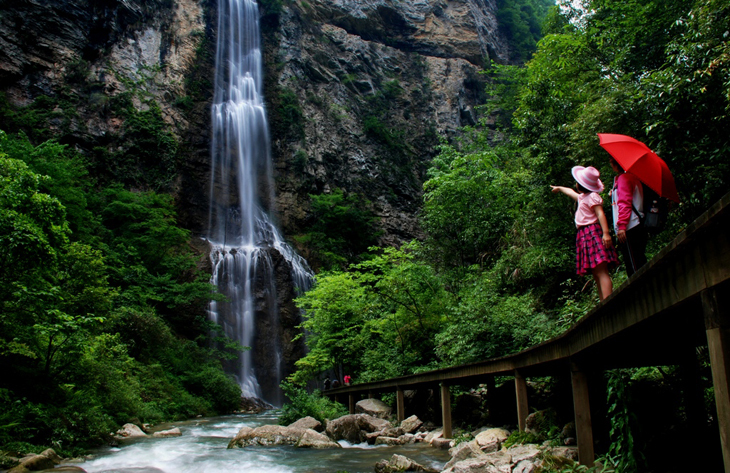 After breakfast in the hotel,visit Zhangjiajie National Forest Park, pay a visit to Gloden Whip Stream, this valley is well-known for the crystal water and fresh air, it will take you 2 hours to finish. 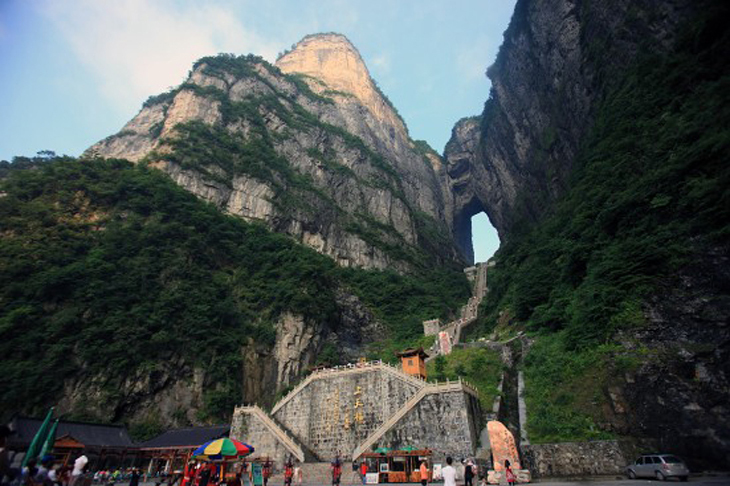 In the afternoon,climbing to the Yuanjiajie,also called AVATAR Mountain for the movie AVATAR filmed here 3 years ago,enjoy Hallelujah Mountain,NO,1 Bridge in the world and so on. You need to get up early,A full day sightseeing starts with Grand Sightseeing Platform --a famous place for seeing the sunrise ,it only takes 10 minutes from your stay hotel to it. 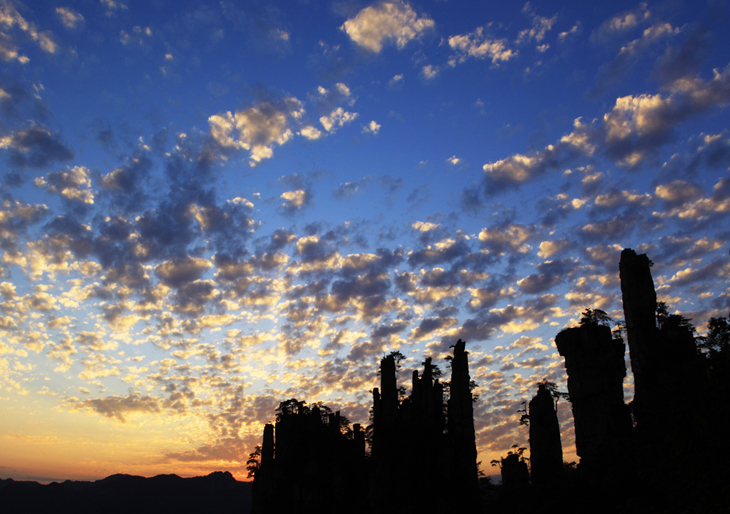 Sunrise in Grand Sightseeing Platform is one of the 4 natural wonders in Zhangjiajie National Forest Park. Wulong Village: After lunch,take green bus to Wulong village,Yangajiajie. All of two places are designed especially for the hiking lovers, so there are no tourism groups and you can enjoy the natural beauty at your own pace. The main scenic spots: One step to the Heaven, Hawk Beak Peak. 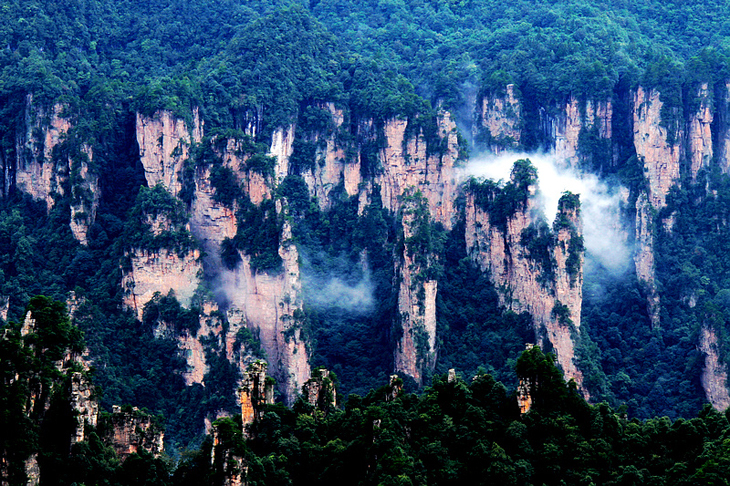 The first place you are going to visit is Tianzi Mountain,Tianzi Mountain is a mesa in the northwest of Wulingyuan. Up on the mesa, the field of vision is widely opened up and it is a perfect location to have a panoramic view of the nature reserve,visit Helong Park, The West Sea and so on. Visit Ten--miles gallery , Ten--miles gallery is a 5 kilometers long canyon. There are dense wood, fragrant flower and grotesque rock in the canyon. The scenery formed a natural picture hanging on the cliff. In the canyon, there are some sights as follow: Camel Peak, Ferocious Tiger Roaring, Mouse Looking Sky, The Senior Man Greeting Visitors and The Man Collecting Herb. Baofeng Lake: Baofeng Lake is the masterpiece of nature and human beings’wisdom.It is 85 meters above the ground and attains an altitude of 585 meters.With an average depth of 72 meters.All the water is from rainfall and spring without any pollutant.It is pure just like a big crystal among Bao feng mountain Range.When you cruise, you can hear authentic song from Tujia minority people.You can fully understand the harmony and peace between human beings and nature. Zhangjiajie Great Canyon: Situated in Sanguansi, cili county Zhangjiajie city, 10 km east to Wulingyuan world natural heritage site, Zhangjiajie Great Canyon is a new discovery of scenic spot. 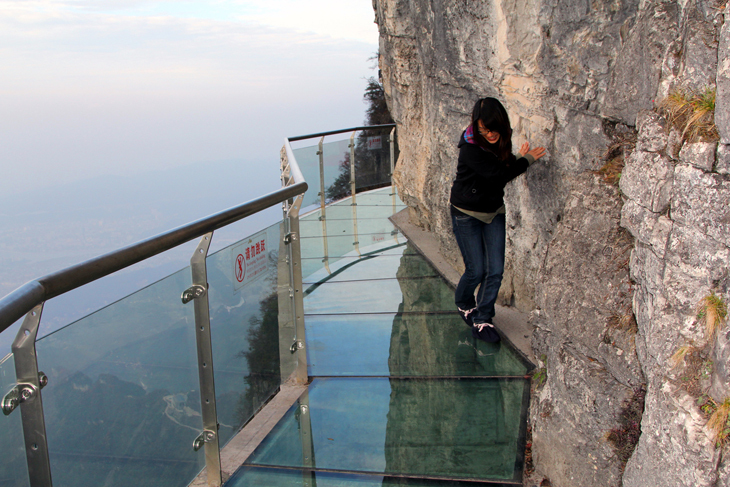 This valley is well-known for the fresh air and crystal water,2.5 hours to finish it. 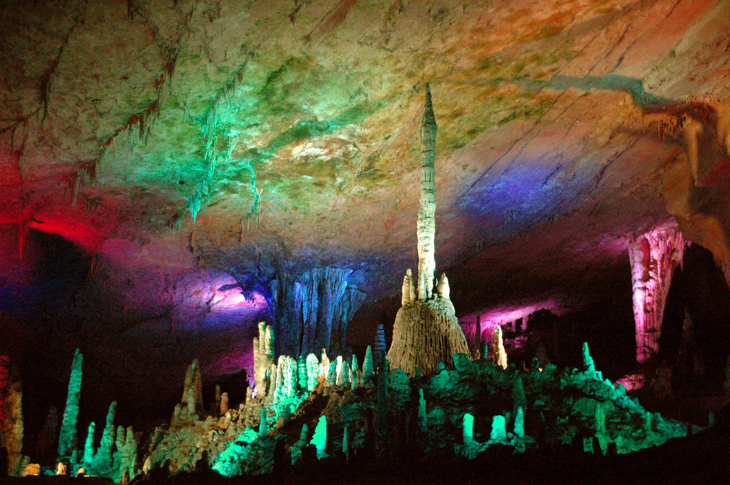 Yellow Dragon Cave: this cave is praised to be one of the most beautiful cave in china , It is just like an underground "magical palace", featuring a wide cave, deep and secluded underground rivers, hanging waterfalls and dense stone bamboo shoots, and showing a style of its own. Driver and guide get you to the airport or train station on time. They will take you right to check-in and say goodbye at the security gate.